Emma Nolan, normal 10 year old, spending time with her parents at the carnival, having a good day as always. Kids get hungry and tired after riding a bunch of rides all day long so she decides to head off to the funnel cake booth, and waited in line until a random adult pointed out something dripping from her nose. Blood. 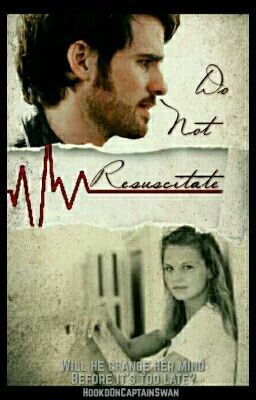 Killian Jones, charmingly ambitious 18 year old interning at the hospital for college credits. Wanting to be a doctor ever since his sister died when he was 11. While following around another doctor his first day, the E.R had rushed in a girl with an unknown ailment. ~7 years later~ In and out of hospitals for 7 years, Killian had been Emma's doctor and once she realizes she's been through hell and back, she decides it's finally taken its toll on her and she wants to sign a DNR but she has to wait until she a legal adult and being with her throughout these past 7 years Killian wants to change her mind before it's too late. Falling for her wasn't on the schedule.